It's been 11 years since the I-35W bridge collapsed in Minneapolis, sending cars and people hurtling towards the Mississippi River. The collapse killed 13 people, and injured 145. Kimberly Brown was among the survivors that day. She was a passenger in a car that fell more than 100 feet with the bridge. 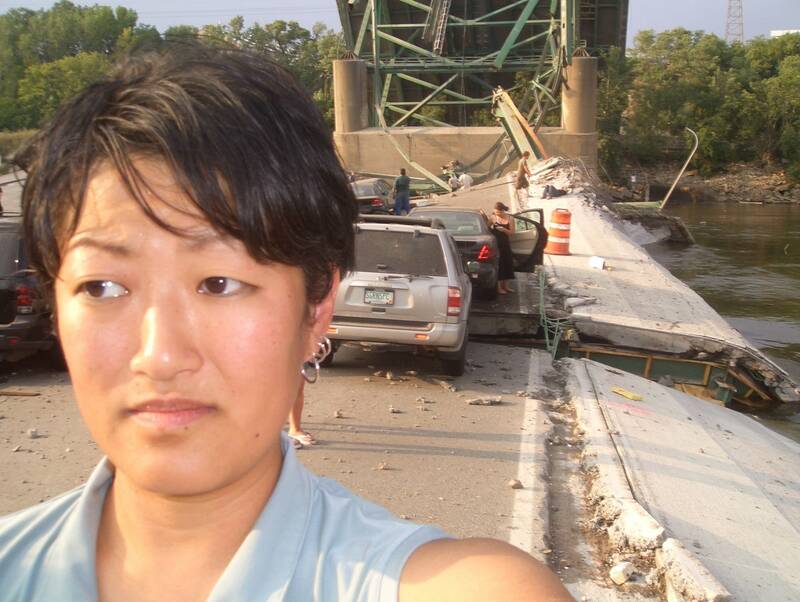 Brown's new book, "The I-35W Bridge Collapse: A Survivor's Account of America's Crumbling Infrastructure," details her experience healing from injuries sustained in the collapse, and her own investigation into why the bridge fell. Brown talked with MPR News host Cathy Wurzer about the book, and what her journey's been like. She'll also be reading from her book at 7pm Wednesday at Hamline University's Klas Center.